Recruiters are turning more and more to social platforms to find the perfect candidate. Seventy-seven percent of employers use social networks to recruit, and 94% of these employers use LinkedIn. So, as a job seeker, if you’re not using LinkedIn in your job search, you’re missing out on getting found! We’ve put together some tips on setting up your LinkedIn profile to help you on your way to job search success. 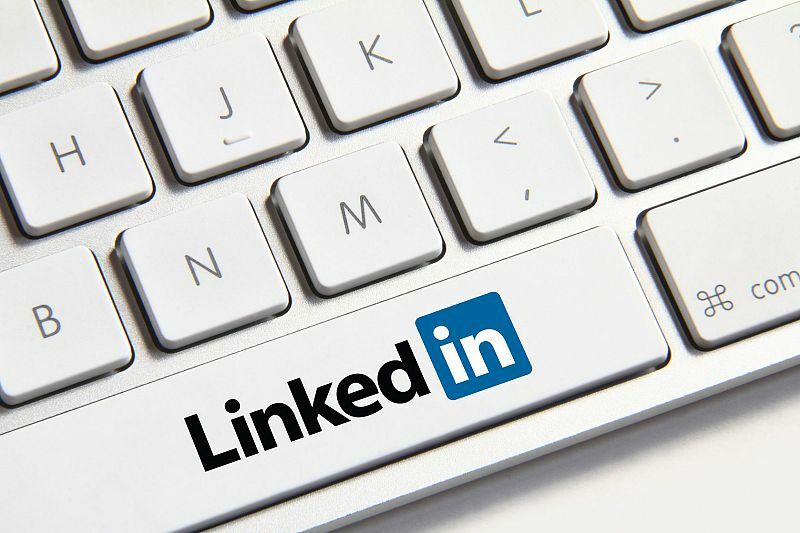 LinkedIn is a social platform connecting professionals across industries, allowing you to professionally connect with colleagues, classmates, friends, family members, hiring managers, executives, and the list goes on! So who’s on LinkedIn? Get noticed with a strong online image. Having a robust LinkedIn profile is the key to building a solid foundation on which to grow your network. Your LinkedIn profile might be the first impression you make on a prospect or contact, so it is important that your profile is complete and compelling. LinkedIn offers a free account, which 90.9% of LinkedIn users have, and a paid account. If you're a job seeker, consider opting for a paid account to give you insight into you're competing against for a job, InMails to direct message recruiters, and see all of the people who've viewed your profile (you may get some hiring managers checking you out!). You have 120 characters in your headline to quickly tell the world what you do. Don’t just use your job title, include the areas of expertise for which you wish to be known and found in searches. Use brief, informative and compelling keywords to help people find you. Your summary is your professional elevator pitch. This is your personal profile, not your company’s. Again, keywords are key here. Make your summary personal and conversational, it is not a formal resume, so you can avoid sounding formal. Tell stories and paint a picture of yourself, but remember to keep it professional. Having your two most recent positions makes your profile 12x more likely to be found. Since it isn’t a resume, don’t go overboard with previous work history details and accolades. A simple summary and top accomplishments will suffice. Include any board or volunteer positionsthat may be of interest or value to your work. Show specific and detailed areas of your expertise. Adding skills and expertise also gives your connections the ability to endorse you in those specific areas. At a minimum, include five skills. Add the higher education school(s) you attended, degree(s) received, specializations, awards and any relevant details. Adding your schools allows your fellow alumni to find you and connect. If you didn’t finish a degree, you should still include information about your attendance. If you didn’t attend college, listing high school is preferred to listing no education details at all. Complete your profile to 100% to increase your chance of being found in search results. For more tips, check out our job seeker webinar,"Using LinkedIn to Maximize Your Job Search," which we held as part of our complimentary webinar series.